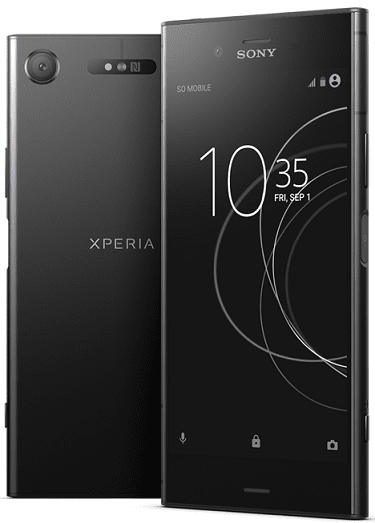 Announced at IFA 2017, Sony Xperia XZ1 is the latest flagship smartphone by Sony Mobile for those who desire superb performance. Sony Xperia XZ1 packs a heavy-duty Qualcomm processor and some of the technologies you see in some high-end TVs. The Sony Xperia XZ1 shows its maker’s signature design. That isn’t exactly a good thing if you are the type that likes to turn heads with your devices. With the rather thick bezels, it looks a lot like its predecessors from years past. But that’s not to say nothing has changed. Sony has carried out a bit of refining. This one is noticeably slimmer than the Xperia XZ at 7.4 millimetres. The unibody design features metal – precisely, a single slab of aluminium. Its maker still managed to keep things somewhat lightweight despite the choice of material. It is apparent that Sony made the water-resistant Sony Xperia XZ1 for immersive entertainment. The phone sports a 5.2-inch display with Full HD resolution. While the display isn’t the best we expect from a flagship, it should still impress. The display has sturdy Corning Gorilla Glass 5 protecting it. It boasts HDR support for a viewing experience comparable to that of Sony’s latest BRAVIA TVs. The Sony Xperia XZ1 rocks a 19MP Exmor RS sensor on the rear, similar to that of the Xperia XZ Premium. This enjoys the backing of solid features to turn out high quality images. The features include predictive phase detection autofocus, five-axis image stabilisation and Motion Eye tech. Sony Xperia XZ1 can record super slow-mo videos at 960 frames per second. You can capture an image; turn it into 3D content, and print. You also get a 13MP wide-angle camera for selfies. This uses screen as flash. The Sony Xperia XZ1 packs a fitting Qualcomm Snapdragon 835 chipset. The flagship-grade processor gets support from 4GB RAM. Onboard storage is 64 GB, expandable by up to 256 GB. The smartphone ships with latest Android 8.0 Oreo OS. Sony Xperia XZ1 carries a rather lowly 2,700mAh battery, but the power efficiency of the processor should cover that aspect. It has a USB Type-C port that you can use for charging. Sony Xperia XZ1 is not yet official in Nigeria, but a third party seller is currently offering the smartphone on Jumia Nigeria as part of the Jumia Global program. We currently have no data on pricing and availability for Ghana and Kenya. Sony Xperia XZ1 Price in Nigeria ranges from 240,000 Naira to 290,000 Naira depending on your location in the country.